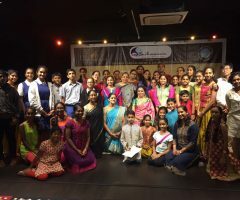 Sudhaarnava – Academy for Musical Excellence was launched on the auspicious day of the Tamil New Year in 2017. I places this venture at the feet of the Almighty, my mother Choodamani amma and my guru MLV amma for their blessings. As a blessed inheritor of a tall legacy, it has been my long-standing dream to do justice to the school I hail from, in terms of passing on the baton. I have been pondering for some time in conceptualizing a path for the gurukulam, dwelling upon the nuances that goes into making worthy disciples of a worthy guru. It is hard work and dedication that comes foremost. 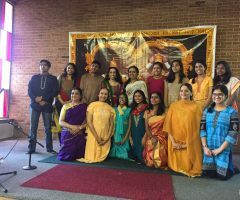 The commitment levels have to be at an all-time high and the accountability of carrying on this honored legacy should continuously reverberate in all the crevices of the heart. I have experienced this feeling every single day of my 13-year tutelage with my revered guru Padma Bhushan awardee, Sangita Kalanidhi Dr. M L Vasanthakumari amma, and hence I can proudly boast of a strong foundation. 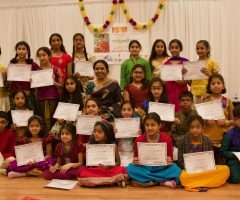 Sudhaarnava has conducted workshops, lecture demonstrations and master classes at important venues across the world. Building upon its current span, I have brought in a few more new dimensions into Sudhaarnava such as Shiksha and Aakriti. There will be many more concepts of learning and appreciating as well. Stay tuned and be a part of a joyful learning experience. Welcome to the world of differential learning…. !